TBILISI, DFWatch–The success of an opposition candidate in Ukraine’s presidential elections has given Georgia’s former leader Mikheil Saakashvili new hope of making a comeback in Kiev politics. After losing power in his home country, Saakashvili re-launched his career as politician in Ukraine, serving first as governor of Ukraine’s strategically important Odessa Oblast for 18 months, and later making an attempt to establish a new movement. In the first round of Ukraine’s presidential election on Sunday, he threw his support behind Volodymyr Zelensky, a comedian who surprisingly beat President Petro Poroshenko, garnering over 30 percent of votes against the incumbent’s 16 percent. In his another Facebook post, the day before, Saakashvili asked Ukrainians not to vote for ‘marauder Poroshenko’. Some political analysts in Kyiv speculated that Zelensky might even view Saakashvili as a possible candidate for prime minister, but that was quickly denied by his campaign staff. Mikheil Saakashvili is living in exile in Poland, but frequently travelling to other countries except Ukraine and Georgia. He was forcefully deported from Ukraine in February, 2018 and is banned from returning. Meanwhile, in Georgia he has been tried in absentia and sentenced to prison for various offenses. The last time was in June 2018, when Tbilisi City Court found the ex-president guilty of ordering the beating of a parliamentarian in 2005 and sentenced him to six years in prison, as well as stripping him of his right to hold government office for two years and three months. Saakashvili denies all charges and accusations and blames the governments of Ukraine and Georgia of politically motivated persecution against him. 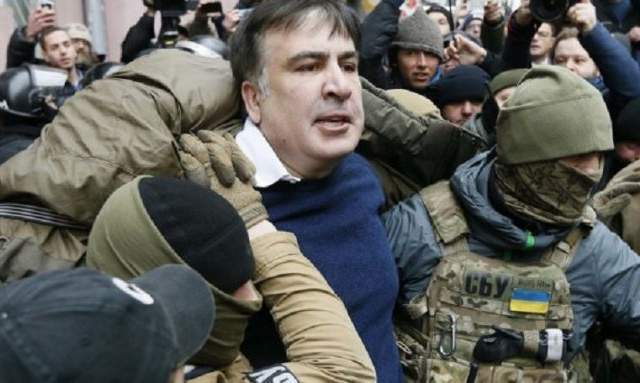 After losing power in his home country, Saakashvili relocated to Ukraine and took an active part in the protests in Kiev in 2013 and 2014 known as Euromaidan, against then president Viktor Yanukovich. After the latter was ousted, the new president Poroshenko appointed Saakashvili, his personal friend, as governor of Odessa Oblast in the country’s south-west. However, Saakashvili soon clashed with his friend over the issue of corruption, and after the relationship between the two soured he was eventually forced to step down, after which he attempted to launch an opposition movement.